A magnificent Christmas gift idea for that wonderful lady in your life with a passion for Pinots! Does the lady in your life have a passion for the exquisite flavor of Pinots? Then the Pinot Noir Wine Club is certain to get her attention! Imagine a new selection of wine gifts for her delivered right to her door each and every month, as long as your heart desires. Each shipment includes magnificent, 90+ rated wines created from some of the top winemakers in California, as well as selections from wonderful international wineries. 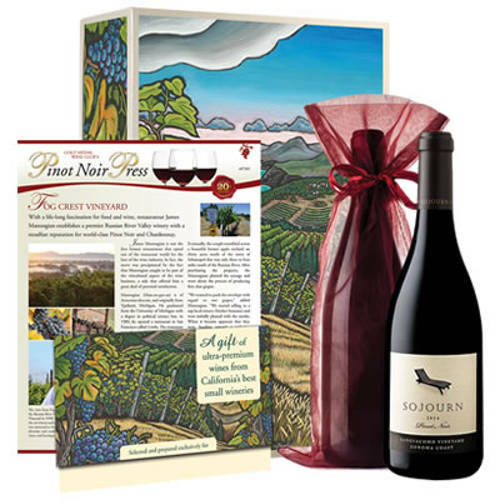 Deliver the unique flavor of pinot wine gifts to that special woman this holiday season with this wine of the month club. Choose to send 2 bottles, each with a different flavor each month, or indulge in 4 bottles and she can experience up to three unique creations with every delivery.